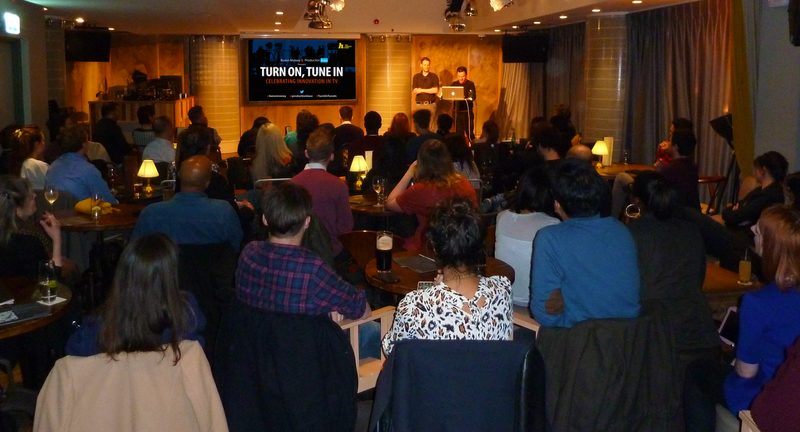 It was another busy night in The Oak Room at The Hospital Club on Tuesday night for our latest Turn On, Tune In event, where we once again hosted a top line-up of industry speakers. Sebastian Grant & Andy Brereton on stage at The Hospital Club. We were joined by Tiger Aspect duo, Andy Brereton (Head of Comedy Entertainment) and Sebastian Grant (Executive Producer), discussing their innovative BBC Three reality-horror-gameshow hybrid, I Survived A Zombie Apocalypse, where 10 members of the public are left in an abandoned shopping centre overrun by zombies. The aim for contestants is to survive for seven days until help arrives, with an array of tasks and games to complete in the meantime. One bite from a zombie and they leave the show in grisly style! 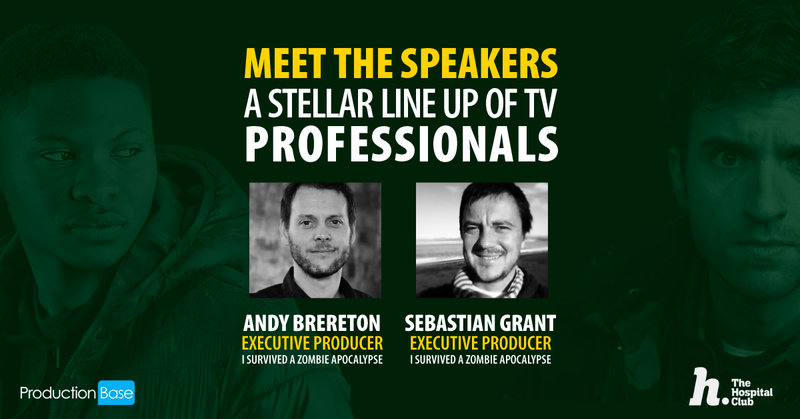 Andy & Sebastian took us through the development and pitching process, the challenges of filming with such a large cast, and dealing with the aftermath for the traumatised contestants!